We’ve all seen the statistics. America’s children are seriously overweight, and many of them are dangerously obese. In fact, according to a new study led by Imperial College London and WHO (World Health Organization) among high-income countries, the United States had “the highest childhood obesity rates for girls and boys”, 19.5 percent and 23.3 percent, respectively. This research also indicates a tenfold increase in childhood and adolescent obesity in the last four decades. 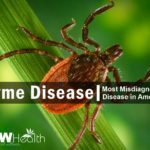 This sad state of affairs has numerous causes, and opens up the next generation to a slew of health problems both now and in the future. It is time we as concerned parents/grandparents take inventory of what we are doing – or not doing – to contribute to this travesty. Even more importantly it’s time to examine how we can help to turn this trend around. 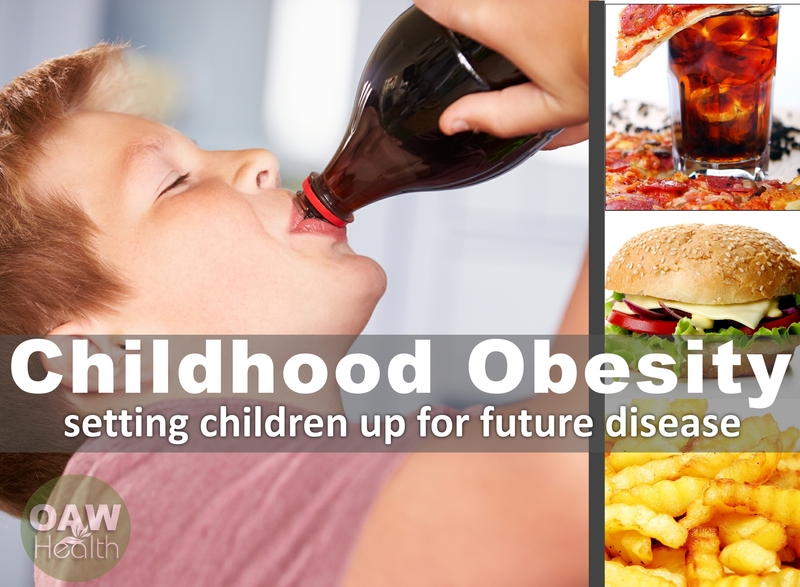 Childhood Obesity: Are We Setting Up Children for Future Disease? Childhood obesity has both immediate and long-term effects on health and well-being. According to the American Heart Association, about one in three American kids and teens are overweight or obese. The prevalence of obesity in children has increased tenfold in the past four decades in children and adolescents. With good reason, childhood obesity is now the No. 1 health concern among parents in the United States, topping drug abuse and smoking. Obese children are more likely to have risk factors for cardiovascular disease, such as high cholesterol or high blood pressure. In a population-based sample of 5- to 17-year-olds, 70% of obese youth had at least one risk factor for cardiovascular disease. Children and adolescents who are obese will likely be obese as adults and are therefore more at risk for adult health issues such as heart disease, type 2 diabetes, stroke, several types of cancer, and osteoarthritis. One study showed that children who became obese as early as age 2 became obese as adults. Overweight and obesity are associated with an increased risk for many types of cancer, including cancer of the breast, colon, endometrium, esophagus, kidney, pancreas, gall bladder, thyroid, ovary, cervix, and prostate, as well as multiple myeloma and Hodgkin’s lymphoma. One of the most obvious factors in the childhood obesity concern is the media and the American culture that it has spawned. Children become bombarded with commercials on TV, the internet, and even through ads and promotional campaigns in their schools daily. The majority of these messages push soft drinks and other junk foods as the “cool” thing to fill our bellies with. There is very little information offered to them about the importance of healthy food choices such as fresh fruits and vegetables and the value of drinking plenty of clean water everyday. High-calorie, extremely caffeinated “energy” drinks are all the rage, often with parents setting the example. With advertisers promoting them as a drug-induced lift – even to the point of packaging and marketing them to look (and act) in a similar way as alcoholic beverages. A legal – but very unethical – way for Junior to get a “buzz” and pack on extra empty calories to boot. Public school cafeteria menus promote foods that are extremely high in fat and starches as well as containing empty calories. A series of TV programs featuring Jamie Oliver and entitled Food Revolution targeted the unhealthy food served in school cafeterias. It was astounding to actually see the unhealthy foods that our children are fed! When offered healthy food, the children turned it down. No wonder children are presenting disease at earlier ages than that of their parents. In this area, we have definitely lost control. Possibly if more parents/grandparents took time to go to school and eat with their children several times each month the parents could petition school districts and officials for more healthy food. Studies and research actually prove less behavior issues and higher overall grades when at-school children have less access to sugary foods and drinks and more access to healthy and nutrient dense foods. 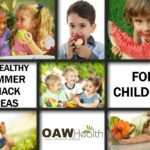 There have been reports of school officials peering into children’s home-prepared lunches and then notifying parents their child’s lunch was not healthy. While this certainly qualifies as an invasion of privacy, we must understand this was happening in schools that have high areas of economically vulnerable kids. Over 13 million American kids are presently food-insecure. Food insecurity is the most broadly used measure of food deprivation in the United States. The USDA defines food insecurity as meaning “consistent access to adequate food limited by a lack of money and other resources at times during the year.” In more understanding terms – food insecurity means that in the USA we have children that are consistently going hungry. Over 30.4 million children rely on the National School Lunch program for needed nutrition, and most of them live sufficiently close to the poverty line that they qualify for free lunches or meals offered at a reduced prices. While these statistics should never happen in the USA, we should still be demanding that government programs currently set in place supply children with healthy fruits, vegetables and meats instead of chicken nuggets, hot dogs and french fries. Of course, the fast food chains have earned a significant amount of blame in this too. They push high-fat, high-calorie items on their menus for breakfast, lunch, and dinner, and why not “super-size” your meal for a couple of extra bucks and a toy. McDonald’s showed a large increase in profits – during difficult financial times – mainly from their dollar menu items and the new premium and iced-coffee products they offer, some of which are also packed with sugar and thus lots of extra calories. Let’s face it, overeating is an American cultural icon and a huge part of the economy as well. Some professional sports franchises have admitted that it is difficult for them to turn a profit without robust sales of food and beverages during games. All too often, part of taking the family to a ballgame is encouraging the kids (and adults) to overeat and stuff themselves with nutritionally poor and fattening foods. While all of the above is true – the media, school foods and the cultural abuses that aggravate childhood obesity – the buck really stops with as us individuals. 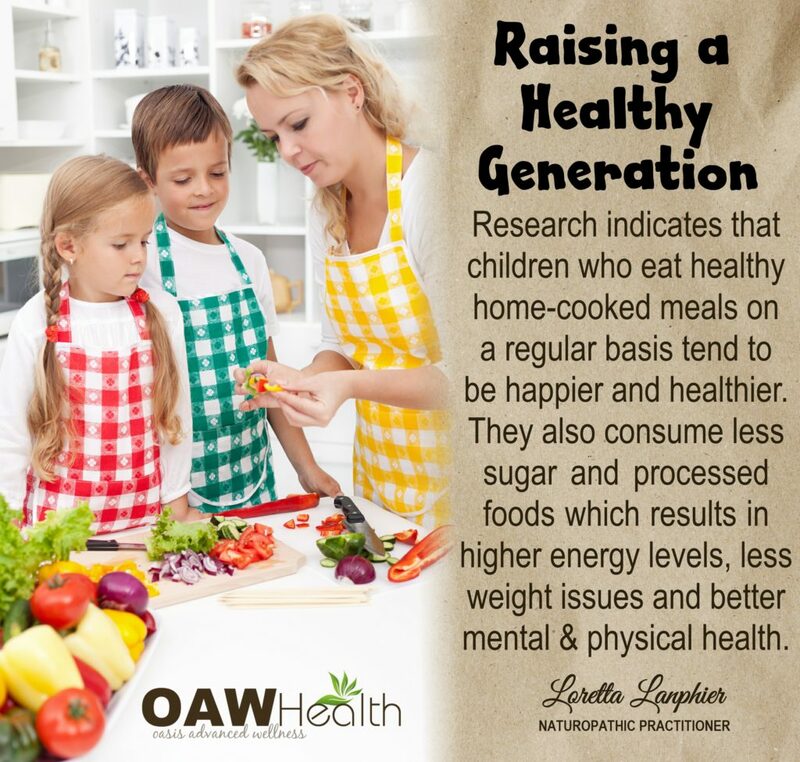 What happens in the home and the family is the strongest influence upon our children’s nutritional choices. Are you an enabler for the health of your kids, or do you model and teach a lifestyle which results in obesity? As the saying goes, children learn more from what we do than from what we merely say. The most powerful way to counteract the negative influences of the culture is to create a positive family atmosphere in our own homes. We as parents and mentors of children must train and educate them (from the cradle) in how to live a lifestyle that promotes good health and wellness. 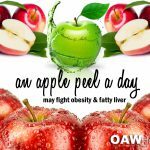 Teaching our children about the importance of eating organic fruits and vegetables, drinking purified water and getting a sufficient amount of sunshine and exercise will go a long way in chopping down the obesity epidemic in children. We also need to teach them “how” to plant an organic garden and how to source other clean and beneficial foods. It all begins at our own dinner tables and in our own kitchens. Eating well – both in quality and quantity – is a proactive process. It doesn’t happen by accident. Healthy Diet. Prepare and eat your food at home. Serve a diet high in fresh (organic is best) fruits and vegetables, whole grains, and protein sources other than meat. This would include beans, nuts and quinoa – to name just a few. Encourage your children to eat smaller portions and to eat them more slowly. Also incorporating four – five smaller meals during the day will encourage level insulin levels and thus eliminate hunger pangs. It will also train their bodies to distinguish true hunger from the “need” to overeat. Provide easy access to healthy snacks. Cold fruit and cut-up vegetables with a healthy dip are great choices. Model this before your children and soon it will become a learned habit for them. Eat Together. Whenever possible, even in our busy lives, eat meals together as a family. Make dining an event that not only celebrates eating well, but builds relationships too. And don’t forget to turn off the TV while eating your meals. Start a family garden. It is very easy to grow vegetables in containers, raised beds, etc. It is amazing the amount of vegetables and fruit that one can get from even a small organic garden. Most children love to care for and watch “their” plants grow and it is a great lesson in being able to name vegetables! How refreshing to pick a strawberry off the vine and eat it. Very soon you will realize that your child’s taste buds are changing and that their body will actually crave healthy foods. Be Active. Another critical choice to model and teach your children is an active lifestyle. Besides overeating, the lack of consistent physical exercise is another major reason there is so much childhood obesity. The opportunities for exercise are endless. One idea is to take family hikes. Get some fresh air and sunshine, and pack a nutritious lunch. The effects of a lifestyle of wellness play off each other. Eating well will increase the desire for exercise, and vice versa. Many schools have eliminated organized PE classes as well as recess for younger children. This is very unfortunate since younger children need frequent breaks in which to run and play – as well as sunshine. This is proven very important to successful learning. Older children also need more organized activities such as PE classes in order to destress and allow their minds to rest. And yes, they need all-important sunshine as well. 1. TV viewing, as well as computer and video games, is most likely replacing activities in your child’ s life that you would rather have them do (things like playing with friends, being physically active, getting fresh air, reading, playing imaginatively, doing homework, doing chores). 2. TV viewing among kids is at an eight-year high. On average, children ages 2-5 spend 32 hours a week in front of a TV—watching television, DVDs, DVR and videos, and using a game console. Kids ages 6-11 spend about 28 hours a week in front of the TV. The vast majority of this viewing (97%) is of live TV. 3. Kids who spend more time watching TV (both with and without parents and siblings present) spend less time interacting with family members. 4. Excessive TV viewing, computer time and video games can contribute to poor grades, sleep problems, behavior problems, obesity, and risky behavior. 5. Most children’s programming does not teach what parents say they want their children to learn. These programs are often filled with stereotypes, violent solutions to problems, and mean behavior. 6. Advertisers target kids, and on average, children see tens of thousands of TV commercials each year. This includes many ads for unhealthy snack foods and drinks. Children and youth see, on average, about 2,000 beer and wine ads on TV each year . 7. Kids see favorite characters smoking, drinking, and involved in sexual situations and other risky behaviors in the shows and movies they watch on TV. It’s time we all do some soul-searching and really think about the roles we play in our children’s eating habits and overall health. Let’s not throw this toward schools/government but instead hold the schools accountable for what they feed our children while taking responsibility for our own children’s health and well-being. This creates a win-win situation for our children. There’s always room for improvement, and creating a family legacy of wellness will pay off for generations into the future. Childhood obesity can be reversed and even future disease prevented – one family at a time who make a conscious choice to get healthy and stay healthy. Office of the Surgeon General. The Surgeon General’s Vision for a Healthy and Fit Nation. [pdf 840K] . 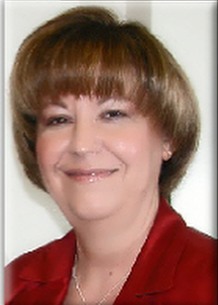 Rockville, MD, U.S. Department of Health and Human Services; 2010. CDC. National diabetes fact sheet: national estimates and general information on diabetes and prediabetes in the United States, 2011 [pdf 2.7M]. Atlanta, GA: U.S. Department of Health and Human Services. Bickham DS, Rich M. Is television viewing associated with social isolation? Roles of exposure time, viewing context, and violent content. Arch Pediatr Adolesc Med. 2006 Apr;160(4):387-92. Vandewater EA, Bickham DS, Lee JH. Time well spent? Relating television use to children’s free-time activities. Pediatrics. 2006 Feb;117(2):e181-91. Available at: http://pediatrics.aappublications.org/cgi/content/full/117/2/e181 . Accessed 11 November 2009. American Academy of Pediatrics. Television—what children see and learn. Available at: http://www.aap.org/pubed/ZZZNKWJGQ2D.htm?&sub_cat=1. Accessed 11 November 2009. McDonough P. TV viewing among kids at an eight-year high. Nielsenwire. October 26, 2009. Available at: http://blog.nielsen.com/nielsenwire/media_entertainment/tv-viewing-among-kids-at-an-eight-year-high/. Accessed 11 November 2009.